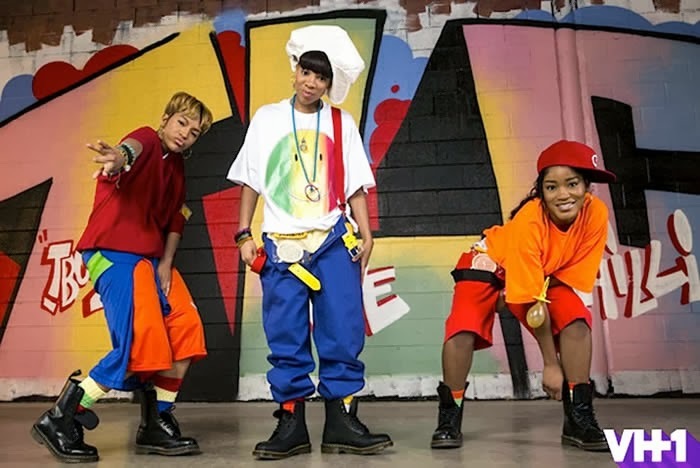 A few days ago I watched CrazySexyCool: The TLC Story and let me tell ya, I haven't stopped talking about it ever since! I thought that the film was absolutely fantastic and really eye opening. I was completely unaware of the problems the girls had with their management team and the fact that they were broke, probably because I was so young when I started singing away to their songs. It's funny that at the age of about 10 I knew all of the words to No Scrubs but it wasn't for a few more years that I knew the actual meaning. I thought that the acting was great on all parts but especially Lil Mama. She had a tough role to play and didn't have the same guidance as the other two who were mentored by T-Boz and Chilli. For some reason I have never really liked Keke Palmer as an actress but I think she was great in the film. Ross Evans was also really good but I'm bias as I've definitely got a little sweet spot for him! I'm very lucky that when it comes to music I have a really "cool" Dad. He has always educated me in music and still to this day he tells me to listen to artists before they even hit the radio. Back in the 90's when I was just a wee lassy my Dad would pass me tapes of TLC, SWV, En Vogue amongst many other female artists and enjoy watching me listening to the music over and over again trying to write down the lyrics so that I could go to school the next day and perform in the playground with my friends. We lived in a very white neighbourhood and apart from my beautiful Auntie Rose and my stunning cousin Jade, I had very few black females to look up to, so this introduction to black female musicians is probably the reason I am who I am today. TLC's music brings back such great memories for me and definitely reminds me of being that tiny little girl who dreamed of growing up to look like a mixture between Lisa Left Eye and Aaliyah. Thank you TLC for allowing me to be me and thanks Dad for the introduction. Loved reading this! My dad was/is the same way. I'm very glad I grew up in the 90's. looove TLC. so great that your dad introed them to you. I really like your blog, it's awesome!! i looooove TLC and for that reason didn't want to tune into this movie because i thought it'd be a trainwreck, lol. but after reading your review, i'm going to!